Get Smart is an upcoming 2008 film adaptation of Mel Brooks and Buck Henry’s hit 1960s spy parody television show Get Smart. 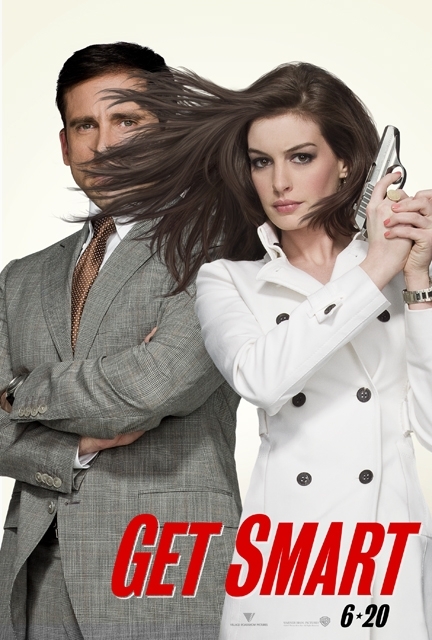 The film will star Steve Carell as Maxwell Smart and Anne Hathaway as Agent 99. Alan Arkin will play the Chief. Masi Oka, Terence Stamp, Dwayne Johnson and Dalip “The Great Khali” Singh will also star. Bill Murray and Patrick Warburton make cameos in the film, as does Bernie Kopell, who played Siegfried in the original series. ~ by darkdestroyer on April 1, 2008.